Consumption of sugar-sweetened beverages (SSBs) has been associated with increased risk of heart disease, type 2 diabetes, and metabolic syndrome. These associations may be due to increased body fat, but have also been hypothesized to occur through mechanisms unrelated to body composition, such as chronic low-grade inflammation. Table sugar is a disaccharide (two simple sugars linked chemically) made up of equal parts glucose and fructose. High-fructose corn syrup (HFCS) is just slightly different in composition compared to sugar, containing 55% fructose, 41% glucose, and 4% other saccharides. It’s been theorized that the fructose component may be disproportionately responsible for the associations seen between SSB intake and risk factors for chronic inflammation, abnormal blood lipid values, and decreased insulin sensitivity. Metabolic comparisons to alcohol consumption have also been made to fructose. There are multiple mechanisms to explain why fructose might be more problematic compared to the consumption of an equivalent amount of glucose, some of which are summarized in Figure 1. Studies in mice have suggested that consumption of fructose can trigger hepatic and systemic inflammation via increased intestinal permeability and the translocation of endotoxin from the gut and into circulation. An increase in de novo lipogenesis (the body’s synthesis of fatty acids) has also been observed when substituting liquid fructose in place of solid carbohydrate foods, which can increase production of fetuin-A (a protein secreted by the liver and adipose tissue) and in turn lead to increased activity of inflammatory pathways in adipose tissue. To further examine the links between the types of carbohydrate consumed and their effects on inflammation and intestinal permeability, researchers set out to compare the effects of consuming beverages sweetened with fructose, HFCS, or glucose for eight days. This study warrants interest for a number of reasons: 1) researchers recruited human participants, 2) it is a randomized controlled trial rather than observational, 3) it attempted to keep bodyweight stable to determine whether fructose is inflammatory in the absence of major bodyweight changes, and 4) it looked specifically at adipose tissue inflammation, which is hypothesized to have a particularly important link with metabolic dysfunction. Sugar-sweetened beverages are associated with chronic inflammation, which can be related to increased risks for diabetes and heart disease. Researchers compared the metabolic effects of beverages sweetened with fructose, high-fructose corn syrup (HFCS), and glucose on markers of systemic and adipose tissue inflammation as well as intestinal permeability. This double-blind, randomized, crossover study included 24 healthy participants (15 male, 9 female; average age 36) that were separated into two groups based on BMI, normal weight (BMI 20.0–24.9; n = 12) and overweight/obese (BMI 25.0–39.9; n = 12). All participants were screened for fructose malabsorption and were excluded if they tested positive. Other exclusion criteria included typical factors such as smoking, drug or alcohol abuse, chronic metabolic or inflammatory diseases, and use of prescription medications. During three different eight-day periods (each separated by 20 days), participants consumed 25% of their estimated daily calorie needs from a beverage sweetened with either fructose, HFCS, or glucose. To match the taste, artificial sweetener (aspartame) was included in the glucose and HFCS beverages. Participants were also provided with 125% of their estimated calorie needs as a standardized diet (50% carbohydrate, 34% fat, and 16% protein) that they were allowed to consume as desired, and return any food that was not eaten. In total, participants were provided with 150% of their daily energy needs as calculated by the Mifflin-St Jeor formula with an individualized activity factor. Markers of systemic inflammation were assessed via fasting plasma levels of C-reactive protein (CRP) and IL-6, along with fasting plasma adiponectin (a marker of insulin sensitivity), zonulin and urinary lactulose:mannitol ratio (intestinal permeability indicators, explain in Figure 2), fetuin-A, and LPS- binding protein (LBP; a marker of LPS translocation). Adipose tissue inflammation was also studied, with tissue populations of neutrophils, CD4+ and CD8+ T-cells, and mRNA gene expression measurements of adiponectin, IL-6, IL-10, TNF-a, CCL2, IL-1b, and IFN-y. Ad libitum energy intake was also measured as a predetermined secondary endpoint, and the results were published separately last year. A subset of the participants (five men and nine women; four normal weight and 10 overweight) also agreed to have a biopsy taken from their abdominal subcutaneous fat for further study. Participants consumed a standardized diet for three eight-day periods while drinking 25% of their estimated calorie requirements as either fructose, glucose, or HFCS-sweetened beverages. Food was provided to the participants and consumed as desired. No changes were seen on markers of inflammation (CRP and IL-6) between groups, either during the intervention periods or during the washout period between interventions. Furthermore, no changes were observed in adiponectin, zonulin, LBP, or fetuin-A. Researchers conducted a secondary analysis by separating participants by body fat levels and also found no impact of the diets on any markers of inflammation. 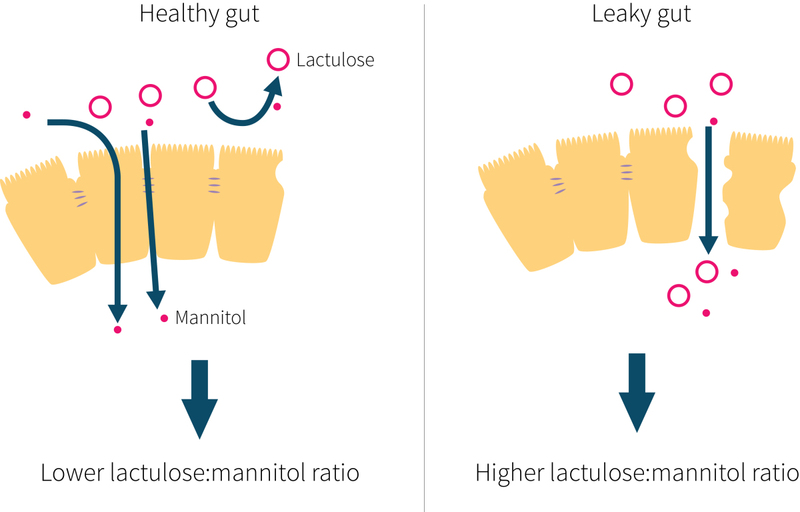 Statistically significant differences were observed in the lactulose:mannitol ratio (HFCS group being the lowest), but all groups were within normal range and well below numbers seen in conditions associated with intestinal permeability. Analysis of adipose tissue gene expression showed no changes in any of the markers evaluated, except for a significant effect of diet after the eight-day intervention on adipose tissue expression of adiponectin mRNA. Measurements after the fructose diet period were greater than after both the HFCS and glucose diet periods. Adiponectin is an anti-inflammatory signaling protein (secreted by adipose tissue) that is inversely correlated with adiposity and has insulin-sensitizing effects. It is unclear how relevant this finding is, because these differences in gene expression were not reflected by similar differences in plasma concentrations. This is possibly due to the fact that plasma levels of adiponectin are primarily related to visceral adipose tissue, which may not have been affected by the three diet periods. Recall that these mRNA measurements were done in subcutaneous, not visceral, adipose tissue. No effects were seen on tissue levels of neutrophils (a type of white blood cells), total adipose tissue macrophages (linked to chronic inflammation), or cytotoxic T-cells (which play a role in immune function). Previously published data from the same study showed that overall (ad libitum) energy intake was not different between groups, with participants consuming more than 116% of their estimated total daily calorie needs. Additionally, no changes in body weight, waist circumference, or physical activity were seen after the eight-day intervention periods. It is noteworthy that people increased their total energy intake on all three beverages, supporting the idea that real life SSB consumption often co-occurs with energy excess. Also worth noting is the fact that the energy excess diminished over the course of the eight day period as people began to compensate for the excess calories. Consuming 25% of estimated daily calorie intake for eight days in the form of sugar-sweetened beverages (with either glucose, fructose, or HFCS) had no substantial differential effects on multiple markers of systemic inflammation, intestinal permeability, or adipose tissue inflammation. There was one unexpected finding from this study: consumption of drinks sweetened with fructose, HFCS, or glucose for eight days resulted in an energy intake that was about 15% greater than calculated needs. But the groups didn’t differently affect measures of systemic inflammation, intestinal permeability, or adipose tissue inflammation in normal-weight to obese adults. There are a number of strengths and limitations to this study. A crossover design allows researchers to minimize the inter-individual variations of the plasma and gene-expression biomarkers. Additionally, this study is unique in that it screened for, and excluded, potential participants that exhibited fructose malabsorption. Prevalence of fructose malabsorption might be quite high in people with unexplained GI symptoms, and surprisingly, between 50-80% of healthy people may be unable to absorb large loads of fructose. Another strength is that these were healthy people with a broad range of BMIs. So, if the idea is that fructose leads to metabolic problems, you'd want to look at people who are otherwise healthy to see if they "move toward sickness". Having a range of BMI values may help suss out differential effects, although the statistical power is likely pretty low for that purpose. The duration of the study also has its pros and cons. While eight days should be long enough to detect any acute effects, it is still a short duration, so some effects may be difficult to observe. It is also possible that the markers chosen to be studied take longer to show any changes, and that short-term changes that did occur were not looked at. Participants did not gain weight during the interventions, which is good for separating the effect of body weight gain, calorie excess, and the fructose or sugar itself on inflammation. It is also likely that continued consumption of 25% of (estimated) calorie needs from SSBs could contribute to weight gain and increase systemic inflammation. Short-term consumption of different simple sugars does not appear to differentially influence markers of systemic inflammation or gut permeability. However, this study cannot shed light on what the effects of chronic consumption may be. A small number of controlled trials using human participants have examined the connection between SSBs and systemic inflammation. Results have been varied. In research similar to the current study, participants consuming glucose or fructose beverages as 25% of their calories for ten weeks had no changes of inflammatory markers CRP or IL-6. However, that study also reported increases in visceral fat after fructose but not after glucose-sweetened beverage consumption, as well as other pro-inflammatory mediators (such as MCP-1 and PAI-1) that were not measured in the current study. 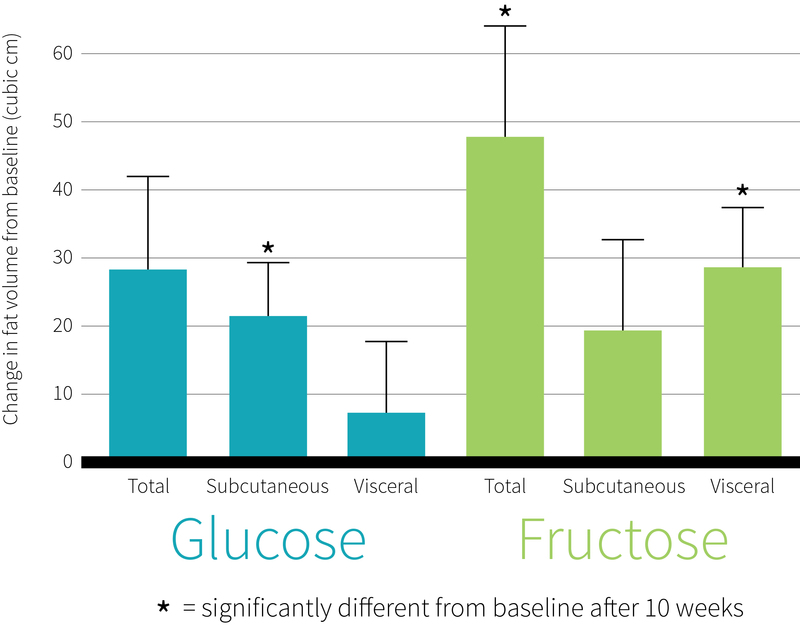 Interestingly, the glucose and fructose groups gained the same amount of fat, but more of it was visceral in the fructose group. Visceral (and not subcutaneous) fat is the main determinant of circulating MCP-1 and PAI-1 concentrations. This means it may be the increased adipose tissue driving the inflammation, and not the fructose per se. Visceral fat was not measured in the current study, but would be unlikely to change after eight days. Another study had healthy participants consume a very high dose of glucose or fructose (150 grams, dissolved in water; this is the amount found in more than a liter of soda) daily for four weeks and found no changes in CRP, PAI-1, MCP-1, or visceral fat after either intervention. 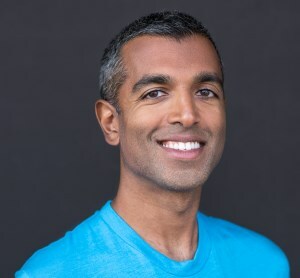 Consistent with the current findings, one other study in humans compared the effects of 80 grams and 40 grams of fructose, glucose, or sucrose-sweetened beverages on CRP levels and found that while CRP increased during all of the interventions, there were no differences between glucose and fructose consumption. The link between fructose and gut permeability (and in turn, systemic inflammation) may be something that occurs in animal models but not in humans. Studies in mice have shown that fructose (but not glucose) consumption can increase intestinal permeability and allow the translocation of bacteria such as LPS (lipopolysaccharide) into the portal vein, which then causes inflammation in the liver. Antibiotics are able to reduce hepatic inflammation, further strengthening the link between bacteria from the intestine and inflammation. Similar undesirable effects of fructose have also been seen in monkeys. In light of the available animal research, it was unexpected for this new human study to show no evidence of increased intestinal permeability or differences in plasma markers of endotoxin exposure among the three diet periods. Animal research points to high consumption of fructose having deleterious effects on inflammation and intestinal permeability, but the small number of human studies do not support the same connections. Are there other reasons to avoid or reduce fructose consumption? This idea is confirmed by a meta-analysis showing that fructose does not cause weight gain when it is substituted into diets providing similar calories. What appears to be bad is the combination of high caloric intake and high levels of refined fructose, or sugar in general. With that being said, many people who eat sugary food, add sugar to things, and drink SSBs will be increasing their total energy intake, so these two criteria are often fulfilled in real life. Would a longer-term study have different results? If it did, it would again be more likely due to a long-term energy surplus resulting in accumulation of adipose tissue, which would itself lead to increased production of inflammatory cytokines. However, this study showed that fructose disproportionately makes the extra fat go into the visceral cavity, as depicted in Figure 3. So calories being equal, overeating fructose could still be worse in the long run. Should I be concerned about fructose from fruit and other whole foods? The amount of fructose in fruits and whole foods is generally lower, so it is unlikely that consumption of these foods would lead to energy over-consumption or weight gain. Whole foods and fruits also contain other beneficial substances like fiber, vitamin C, and polyphenols. Contrary to findings from rodent studies, this research shows no differential effects of short-term consumption of large amounts of fructose, HFCS, or glucose from sugar-sweetened beverages on low-grade chronic systemic inflammation or intestinal permeability in normal-weight to obese adults. Longer-term studies suggest that high intakes of fructose can still be harmful if they are paired with excess calorie intake and visceral fat accumulation. What is the difference between high fructose corn syrup (HFCS) and sugar? Is high fructose corn syrup (HFCS) worse than sugar? Is sugar more filling than HFCS? Did you know that sugary fruits could help regulate... blood sugar?